Maurice Strong is one of those magicians that can bedazzle those imprisoned in the split paradigm presented as left-right, capitalism-communism, and zionism- bolshevism, to name but a few. Like Churchill before him, he is expert in besieging your mind with scripted garbage and have you swoon at his sophistic feet to whatever agenda he wants. Like all billionaires, Strong is a front for the banks, the banks not liking competition, present their own to upkeep the fantasy of choice. Churchill was a Zionist who berated the Bolshevik, in Strong we find a Bolshevik berating the Zionist. Either path takes you right to the dirty door of the fake Templar heaven that is Jerusalem in Palestine. So say the New York branch of the puppet media about Maurice Strong. Never heard of him? Well, you should have. Militia members are famously worried that black helicopters are practicing manoeuvres with blue-helmeted UN troops in a plot to take over America. George Soros and his Canadian sidekick, Kyoto architect Maurice Strong, are the brains behind the likes of Al Gore, Mikhail Gorbachev, The Dali Lama and Barak Obama, With the exception of the Dali Lama they also belong to the Chicago Climate Exchange which will make billions on climate change. Barrack Hussein Obama is the one out in front talking about Change we can believe in, but the senator from Illinois is only the latest puppet. Another leading puppet billionaire of note and said to be the second richest front for the banking cabal is Warren Buffett who in July 2006 gave 85% of his $44 billion fortuneÂ to the Bill and Melinda Gates Foundation. The lion’s share of the Gates Foundation goes into United Nations sanctioned projects in all things medical population reduction, and to ensure a high ratio of customers for the pharmaceutical companies.Up to 2006, the two Gateses have been the only trustees of their foundation. But as his plan gets underway, Buffett will be joining them. Bill Gates says he and his wife are “thrilled” by that and by knowing that Buffett’s money will allow the foundation to “both deepen and accelerate” its work.25 Jun 2006. As terrible as this sounds the actual peril is more subtle. A small cadre of obscure international bureaucrats fronting the banking cabal are hard at work devising a system of “global governance” that is slowly gaining control over the global populations lives. Maurice Strong, an 86-year-old Canadian, is the “indispensable man” at the centre of this creeping Round Table- UN power grab. It is well enough that people of the nation do not understand our banking and monetary system, for if they did, I believe there would be a revolution before tomorrow morning. 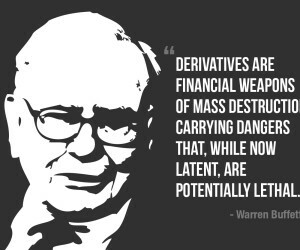 The one aim of these financiers is world control by the creation of inextinguishable debt. Not that Mr. Strong looks particularly indispensable. Indeed, he exudes a kind of negative charisma. He is a grey, short, soft-voiced man with a salt-and-pepper toothbrush moustache who wouldn’t rate a second glance if you passed him on the street. Yet his remarkable career has led him from boyhood poverty in Manitoba to the highest councils of international government. As advisor to Kofi Annan, he was overseeing the then new UN reforms. Yet his most prominent and influential role to date was as Secretary General of the 1992 UN Conference on Environment and Development – the so-called Earth Summit – held in Rio de Janeiro, which gave a significant push to global economic and environmental regulation. While on the board of a Chicago-based charity, Barack Obama helped fund a carbon trading exchange that will likely play a critical role in the cap-and-trade carbon reduction program he pushed through Congress as president. The charity was the Joyce Foundation on whose board of directors Obama served and which gave nearly $1.1 million in two separate grants that were instrumental in developing and launching the privately-owned Chicago Climate Exchange, which now calls itself North America’s only cap and trade system for all six greenhouse gases, with global affiliates and projects worldwide. The privately-owned Chicago Climate Exchange is heavily influenced by Obama cohorts Al Gore and Maurice Strong. Strong is on the board of directors of the Chicago Climate Exchange. Gore, self-proclaimed Patron Saint of the Environment, buys his carbon off-sets from himself the Generation Investment Management LLP, an independent, private, owner-managed partnership established in 2004 with offices in London and Washington, D.C., of which he is both chairman and founding partner. The Generation Investment Management business has considerable influence over the major carbon credit trading firms that currently exist, including the Chicago Climate Exchange. Strong, the silent partner, is a man whose name often draws a blank on the Washington cocktail circuit. Even though a former Secretary General of the 1992 United Nations Conference on Environment and Development (the much hyped Rio Earth Summit) and Under-Secretary General of the United Nations in the days of an Oil-for-Food beleaguered Kofi Annan, the Canadian born Strong is little known in the United States. That’s because he spends most of his time in China where he has been working to make the communist country the world’s next superpower. The nondescript Strong, nonetheless is the big cheese in the underworld of climate change and is one of the main architects of the failing Kyoto Protocol. The tawdry tale of the top two global warming gurus in the business world goes all the way back to Earth Day, April 17, 1995 when the future author of An Inconvenient Truth travelled to Fall River, Massachusetts, to deliver a green sermon at the headquarters of Molten Metal Technology Inc. (MMTI). MMTI was a firm that proclaimed to have invented a process for recycling metals from waste. Gore praised the Molten Metal firm as a pioneer in the kind of innovative technology that can save the environment, and make money for investors at the same time. The firm was run by Strong and a group of Gore intimates, including Peter Knight, the firm’s registered lobbyist, and Gore’s former top Senate aide. The company had received more than $25 million in U.S. Department of Energy (DOE) research and development grants, but had failed to prove that the technology worked on a commercial scale. The company would go on to receive another $8 million in federal taxpayers cash, at that point, its only source of revenue. â€œWith Al Gore’s Earth Day as a Wall Street calling card, Molten Metal’s stock value soared to $35 a share, a range it maintained through October 1996. But along the way, DOE scientists had balked at further funding. 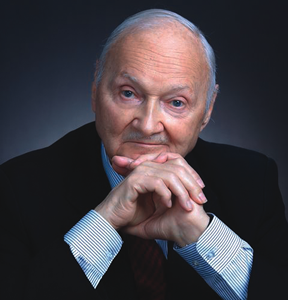 When in March 1996, corporate officers concluded that the federal cash cow was about to run dry, they took action: Between that date and October 1996, seven corporate officers including Maurice Strong sold off $15.3 million in personal shares in the company, at top market value, $35. On Oct. 20, 1996 a Sunday the company issued a press release, announcing for the first time, that DOE funding would be vastly scaled back, and reported the bad news on a conference call with stockbrokers. On Monday, the stock plunged by 49%, soon landing at $5 a share. By early 1997, furious stockholders had filed a class action suit against the company and its directors. Ironically, one of the class action lawyers had tangled with Maurice Strong in another insider trading case, involving a Swiss company called AZL Resources, chaired by Strong, who was also a lead shareholder. The AZL case closely mirrored Molten Metal, and in the end, Strong and the other AZL partners agreed to pay $5 million to dodge a jury verdict, when eyewitness evidence surfaced of Strong’s role in scamming the value of the company stock up into the stratosphere, before selling it off. It may be interesting to note that the Chicago Climate Exchange in spite of its hype, is a veritable rat’s nest of cronyism. The largest shareholder in the Exchange is Goldman Sachs. Chicago Mayor Richard M. Daley is its honorary chairman, The Joyce Foundation, which funded the Exchange also funded money for John Ayers Chicago School Initiatives. John is the brother of William Ayers. What a flap when it was discovered that the senator from Chicago had nursed on Saul Alinsky’s milk, had his political career launched at a coffee party held by domestic terrorist Bill Ayers, and sat for 20 years, uncomplaining in front of the God-dam-America pulpit of resentment-challenged Jeremiah Wright. But the media should have been hollering, Stop Thief instead. Obama was never the character he created for himself in the fairy-tale version in Dreams of My Father He’s the agent of Change and Hope for cohorts making money down at the Chicago Climate Exchange. Maurice F. Strong, born April 29, 1929, was a Canadian businessman. He is a Canadian expatriate, entrepreneur, environmentalist, and one of the world’s leading proponents of the United Nation’s involvement in world affairs. Strong had his start as a petroleum entrepreneur and became president of Power Corporation until 1966. In the early 1970s he was Secretary-General of the United Nations Conference on the Human Environment and then became the first Executive Director of the United Nations Environment Programme. He returned to Canada to become Chief Executive Officer of Petro-Canada from 1976 to 1978. He headed Ontario Hydro, one of North Americas largest power utilities, was national President and Chairman of the Extension Committee of the World Alliance of YMCAs, and headed American Water Development Incorporated. Molten Metals Technology and Cordex Petroleum were two failed business ventures that went bankrupt and dissolved. Maurice Strong had his start in business as a specialist in oil and mineral resources for a leading brokerage firm, James Richardson & Sons. Moving to Calgary, Alberta, he became assistant to one of the most colourful and dramatically successful leaders of the oil industry, J.P. Gallagher. At Gallagher’s Dome Petroleum, Strong occupied several key roles including Vice President of Finance. In the 1950s he took over a small natural gas company, Ajax Petroleums, and built it into what became one of the leading companies in the industry, Norcen Resources. This attracted the attention of one of Canada’s principal investment corporations with extensive interests in the energy and utility businesses, Power Corporation of Canada. It appointed him initially as its Executive Vice President and then President from 1961 until 1966. Strong first met with a leading UN official in 1947 who arranged for him to have a temporary low-level appointment, to serve as a junior security officer at the UN headquarters. In 1971, Strong commissioned a report on the state of the planet, entitled Only One Earth: The Care and Maintenance of a Small Planet  and co-authord by Barbara Ward and Rene Dubos. The report summarised the findings of 152 leading experts from 58 countries in preparation for the first UN meeting on the environment, held in Stockholm in 1972. This was the world’s first “state of the environment” report. His role in leading the UN’s famine relief program in Africa was the first in a series of UN advisory assignments, including reform and his appointment as Secretary-General of the UN Conference on Environment and Development best known as the Earth Summit. Strong was a longtime Foundation Director of the World Economic Forum, a Senior Advisor to the President of the World Bank, a Member of the International Advisory of Toyota Motor Corporation, the Advisory Council for the Center for International Development of Harvard University, the World Business Council for Sustainable Development, the World Conservation Union (IUCN), the World Wildlife Fund, Resources for the Future, and the Eisenhower Fellowships. In 1999, at the request of then UN Secretary-General, Javier Prez de Cullar, he took on the task of trying to restore the viability of the University for Peace, headquartered in Costa Rica, established under authorisation of the UN General Assembly. The UN’s reputation was at risk as the organisation had been subjected to severe mismanagement, misappropriation of funds and inoperative governance. As Chairman of its governing body, the Council, and initially as Rector, Strong led the process of revitalising the University for Peace and helped to rebuild its programs and leadership. He retired from the Council in the spring of 2007. In 2005, during investigations into the U.N.’s Oil-for-Food Programme, evidence procured by federal investigators and the U.N.-authorised inquiry of Paul Volcker showed that in 1997, while working for Annan, Strong had endorsed a check for $988,885, made out to “Mr. M. Strong,” issued by a Jordanian bank. It was reported that the check was hand-delivered to Mr. Strong by a South Korean businessman, Tongsun Park, who in 2006 was convicted in New York federal court of conspiring to bribe U.N. officials to rig Oil-for-Food in favour of Saddam Hussein. During the inquiry, Strong stepped down from his U.N. post, stating that he would “sideline himself until the cloud was removed”. Since then Strong has not returned to his native Canada, and now lives in Beijing. Maurice Strong has received a number of honours, awards and medals. He has received 53 honorary doctorate degrees and honorary visiting professorships at 7 universities. Strong has been caught exaggerating. He claimed, for instance, to have forfeited a $200,000 salary when he left Power. The real figure, said a company officer, was $35,000. Why this myth-making? Well, a CEO is just a CEO – but a whiz-kid is a potential cabinet officer. And it is in politics that Strong’s talents really shine. He is the Michelangelo of networking. He early made friends in high places in Canada’s Liberal Party – including Paul Martin Sr., Canada’s external-affairs minister in the Sixties – and kept them as business partners in oil and real-estate ventures. He cultivated bright well-connected young people – like Paul Martin Jr., Canada’s present finance minister and the smart money’s bet to succeed Jean Chretien as prime minister – and salted them throughout his various political and business networks to form a virtual private intelligence service. And he always seemed to know what the next political trend would be – foreign aid, Canadian economic nationalism, environmentalism. In 1966, by now a Liberal favourite, Strong became head of the Canadian International Development Agency and thus was launched internationally. Impressed by his work at CIDA, UN Secretary General U Thant asked him to organise what became the first Earth Summit – the Stockholm Conference on the Human Environment in 1972. Not for long the joys of contemplation, however. In 1985, he was back as executive coordinator of the UN Office for Emergency Operations in Africa, in charge of running the $3.5-billion famine-relief effort in Somalia and Ethiopia. And in 1989, he was appointed Secretary General of the Earth Summit – shortly thereafter flying down to Rio. Strong’s flexibility, however, must not be mistaken for open-mindedness. His friends, his allies among Canadian Liberals, his networks in the UN and the Third World, even his long-term business partners (like the late Paul Nathanson, wartime treasurer of the Canadian-Soviet Friendship Committee) all lean Left. He has said the Depression left him “frankly very radical.” And given his ability to get things done, the consistency of his support for a world managed by bureaucrats is alarming. It is instructive to read Strong’s 1972 Stockholm speech and compare it with the issues of Earth Summit 1992. Strong warned urgently about global warming, the devastation of forests, the loss of biodiversity, polluted oceans, the population time bomb. Then as now, he invited to the conference the brand-new environmental NGOs [non-governmental organisations]: he gave them money to come; they were invited to raise hell at home. After Stockholm, environment issues became part of the administrative framework in Canada, the U.S., Britain, and Europe. IN the meantime, Strong continued the international networking on which his influence rests. Ingvar Carlsson, former Swedish prime minister and Co-Chairman of the Commission on Global Governance. I had been absolutely astonished. I mean yes, he had done a great deal of business in the US, but how could he have managed such contributions? Well, he’d had a green card. The governor of Colorado had suggested it to him. A lawyer in Denver had told him how. But why? I’d asked. So Strong gave political contributions (of dubious legality) to both parties; George Bush, now a friend, intervened to help him stay in charge of the Rio conference; he was thereby enabled to set a deep green agenda there; and Bush took a political hit in an election year. An instructive tale – if it is not part of Strong’s myth making. Most of Strong’s friends are more obviously compatible, which may explain why they tend to overlap in their institutional commitments. For example, James Wolfensohn (whom Strong had hired out of Harvard in the early Sixties to run an Australian subsidiary of one of his companies) appointed him as his senior advisor almost immediately upon being named chairman of the World Bank. “I’d been involved in… Stockholm, which Maurice Strong arranged,” says Wolfensohn, who, more recently, has been credited with co-drafting (with Mikhail Gorbachev) the Earth Charter presented for consideration at the Rio + 5 meeting in Brazil earlier this year. As head of the Earth Council, Maurice Strong chaired that meeting. It’s not a conspiracy, of course: just a group of like-minded people fighting to save the world from less prescient and more selfish forces – namely, market forces. And though the crises change – World War II in the Forties, fear of the atom bomb in the Fifties, the “energy crisis” in the Seventies – the Left’s remedy is always the same: a greater role for international agencies. Apocalypse soon – unless international bodies save us from ourselves. LAST week, Secretary General Annan unveiled Maurice Strong’s plan for reorganising the UN. To be sure, the notoriously corrupt and inefficient UN bureaucracy could do with some shaking up. Strong’s plan, however, mostly points in a different direction one drawn from a document, Our Global Neighbourhood, devised by the interestingly named Commission on Global Governance. The CGG was established in 1992, after Rio, at the suggestion of Willy Brandt, former West German chancellor and head of the Socialist International. Then Secretary General Boutros Boutros-Ghali endorsed it. The CGG naturally denies advocating the sort of thing that fuels militia nightmares. Americans should be worried by the Commission’s recommendations: for instance, that some UN activities be funded through taxes on foreign-exchange transactions and multinational corporations. Economist James Tobin estimates that a 0.5 per cent tax on foreign-exchange transactions would raise $1.5 trillion annually nearly equivalent to the US federal budget. It also recommended that “user fees” might be imposed on companies operating in the “global commons.” Such fees might be collected on international airline tickets, ocean shipping, deep-sea fishing, activities in Antarctica, geostationary satellite orbits, and electromagnetic spectrum. But the big enchilada is carbon taxes, which would be levied on all fuels made from coal, oil, and natural gas. Especially significant for the US was the CGG’s proposal for eventual elimination of the veto held by the five permanent members of the UN Security Council. The Commission knew that the current permanent members of the Security Council, including the US, would not easily surrender their vetoes, and so it recommended a two-stage process. In the first stage, five new permanent members (without a veto) would be added to the Security Council – probably Japan, Germany, Brazil, India, and Nigeria – along with three new slots for non-permanent members. He wanted to make the veto “progressively and politically untenable” and recommended that these arrangements be reviewed in ten years. In July the State Department compromised accepting five new Security Council members but remaining silent on the veto. It plainly hopes that the veto issue will go away if the US concedes on enlarging the Council. Yet the CGG’s report makes clear that we are facing a rolling agenda to expand the power of UN bureaucrats. The veto issue may be postponed for ten years but what then? “This is an initiative that should be resisted by the United States with special vehemence,” said Ted Carpenter. Today, there are nearly 15,000 NGOs. More than 1,200 of them have consultative status with the UN’s Economic and Social Council (up from 41 in 1948). The CGG wants NGOs to be brought formally into the UN system (no wonder Kenneth Minogue calls this Acronymia). So it proposes that representatives of such organisations be accredited to the General Assembly as “Civil Society Organisations” and convened in an annual Forum of Civil Society. But how would these representatives be selected? This June, the General Assembly held a session on environmental issues called Earth Summit +5. President Razali selected a number of representatives from the NGOs and the private sector for the exclusive privilege of speaking in the plenary sessions. “I have gone to a lot of trouble with this, choosing the right NGOs,” he declared. In what sense are these people “representative”? Whom do they represent? Were the head of the US Chamber of Commerce, the chairman of Toshiba, and the president of the Farm Bureau all too busy to come talk to the General Assembly? Another example of how this selection process operates was the “great civil society forum” convened at the behest of Strong’s Earth Council and Mikhail Gorbachev’s Green Cross International this past March. Some five hundred delegates met, supposedly to assess the results of the Earth Summit, but in reality to condemn the “inaction” of signatory countries in implementing the Rio treaties. The delegates were selected through a process based on national councils for sustainable development, themselves set up pursuant to the Earth Summit. Membership in these councils means that an organisation is already persuaded of the global environmental crisis. So you can bet that the process did not yield many delegates representing business or advocating limits on government power. This kind of international gabfest is, of course, a sinister parody of democracy. “Very few of even the larger international NGOs are operationally democratic, in the sense that members elect officers or direct policy on particular issues,” notes Peter Spiro. Paradoxically or not, the voters hardly appear in this model of governance. It bypasses national governments and representative democracy in order to empower the sort of people who are willing to sit in committee meetings to the bitter end. Those who have better things to do businessmen, workers, moms would be the losers in the type of centralised decentralisation envisioned by Worldwatch. The result would be decisions reached by self-selecting elites. In domestic politics, we have a name for such elite groups special interests. ANOTHER CGG recommendation is that the old UN Trusteeship Council “be given a new mandate over the global commons.” It defines the global commons to include the atmosphere, outer space, the oceans beyond national jurisdiction, and the related environmental systems that contribute to the support of human life. It is hard to see what this expansive definition would exclude from the jurisdiction of the Trusteeship Council. These Sites are natural settings or cultural monuments recognised by the World Heritage Committee of the United Nations Educational, Scientific and Cultural Organisation (UNESCO) as having “outstanding universal value.” Sites are designated under a Convention ratified by the US Senate in 1973, and it is possible to place such sites on a “List of World Heritage Sites in Danger.” In this case, a mining company wanted to construct a gold mine outside the boundaries of Yellowstone. The normal environmental review of the project’s impact was still proceeding under US law. But a group of environmentalist NGOs opposed to the mine were not content to wait for that review to take its course. They asked that members of the World Heritage Committee come to Yellowstone to hold public hearings. Four officials of the WHC duly came to Yellowstone and held hearings. Would the mine really have endangered Yellowstone? We’ll never know. Congress would have to approve on a case-by-case basis land designations made pursuant to any international agreements. But is US sovereignty really in danger? In an interview, Strong dismissed Young’s anxieties. This example of the European Union, however, worries Ambassador Liechtenstein. The Yellowstone case is an example of how “feel-good” symbolism about the environment can be transformed into real constraints upon real people imposed outside the law, with no democratic oversight and no means of redress. Ironically, Strong himself had a run-in with Colorado environmentalists over local water rights. They did not have the wit to call in an international agency against the New Age rancher or maybe they realised that Strong was one property owner whose rights the UN would respect. As troubling as the Yellowstone incident is, much greater potential for mischief lies in a new series of “framework treaties” designed to handle global environmental issues. Initially, the treaties called for voluntary actions by governments and set up a consultative process. But environmental activists like Hilary French know very well how this process works. “Even though it can look disappointing, the political will created [by these framework conventions] can lead to commitments of a more binding nature,” she said. “Although its declaration of principles was transparently aspirational, the 1972 Stockholm world conference on the human environment is generally recognised as a turning point in international environmental-protection efforts,” wrote Peter Spiro. “From it emerged a standing institution (the UN Environment Program); weak but more focused framework treaties followed, which in turn are being filled out by specific regulatory regimes. The 1985 Vienna Convention on the Protection of the Ozone Layer itself included no obligations, but the 1987 Montreal protocols and subsequent amendments set a full phase-out of chlorofluorocarbons (CFCs) and other ozone-depleting substances by 1996. The regime covers 132 signatories with a total population of 4.7 billion people. Between 1987 and 1991, global CFC consumption was in fact reduced by half. A similar filling-out process is likely to occur with the biodiversity and climate-change conventions signed at Rio. The “conventions” that Spiro was talking about emerged from the Earth Summit chaired by Maurice Strong. They deal with two of the alleged global environmental crises global warming and species extinction. At the time of the Earth Summit, some scientists predicted on the basis of climate computer models that the earth’s average temperature would increase by 4 to 9 degrees Fahrenheit over the next century because of the “greenhouse effect.” These predictions are controversial among scientists. And as the computer models are refined, they show that the atmosphere will warm far less than originally predicted. Furthermore, more accurate satellite measurements show no increase in the average global temperature over the last two decades. Finally, an important study published in Nature concluded that even if the warming predictions are right, it could well be less costly to allow greenhouse gas emissions to continue to rise for a decade or more because technological innovations and judicious capital investment will make it possible to reduce them far more cheaply at some point before they become a significant problem. In other words, we needn’t take drastic and costly action now. The process forges ahead anyway. The Framework Convention on Global Climate Change signed by President George Bush at the Rio Earth Summit is already beginning to harden. Initially, countries were supposed voluntarily to reduce by the year 2000 the “greenhouse gases” to the level emitted in 1990. Then, a year ago, at a UN climate-change meeting in Geneva, the Clinton Administration offered to set legally binding limits on the greenhouse gases the United States can emit. Sen. Hagel is not alone is his concern. In July the US Senate passed 95 to 0 a resolution urging the Clinton Administration not to make binding concessions at the Kyoto conference. But the climate-change treaty is not the only threat to US interests. Though Mr. Bush refused to sign the Bio-diversity Convention at the Rio Earth Summit – chaired, remember, by GOP contributor Strong – that only delayed things. The Clinton Administration signed shortly after its inauguration. But what would these grand new bodies actually do? That last innocuous phrase is diplomatese for opening up the UN Charter for amendment. If that happens, so could anything notably eliminating the veto in the Security Council. The Millennium Assembly would also consider adopting Strong’s Earth Charter. For the most part the Charter reads like another feel-good document its draft says that “we must reinvent industrial-technological civilisation” and promises everybody a clean environment, equitable incomes, and an end to cruelty to animals but we have seen how such vacuous symbolism can have real consequences down the line. For the time being, however, Annan and Strong have avoided calling for global taxes or user fees to finance the UN. One spokesman said that the issue was simply “too hot to handle right now.” What they propose is a Revolving Credit Fund of $1 billion so that the UN will have a source of operating funds even if a major contributor (e.g., the US) withholds contributions for a time. In short, the CGG’s blueprint for a more powerful UN closely resembles the movement to expand the requirements of the Framework Convention on Global Climate Change. While the process may be piecemeal, the goal is clear: a more powerful set of international institutions, increasingly emancipated from the control of the major powers, increasingly accountable not to representative democratic institutions but to unelected bureaucracies, and increasingly exercising authority over how people, companies, and governments run their affairs not just Americans, but everyone. In short, Col. Qaddafi’s definition of his leftist Green Revolution: “Committees Everywhere.” If so, the future looks good for Maurice Strong. One UN source suggested that, at the very least, he would like to be made Secretary General of the Millennium Assembly or the People’s Assembly. Others suspect that, even at age 68, Strong is angling to be the next UN Secretary General. Such eminence may help explain a puzzling incident in his early career. Having long had political ambitions, he decided to enter the Canadian Parliament. A candidate was evicted from a safe constituency by the Liberal leadership, and Strong moved in. Then, with only a month to go before the 1979 election, he suddenly pulled out of the race. Strong’s business deals were especially complicated at the time he was setting up a Swiss oil-and-gas exploration company with partners that included the Kuwaiti Finance Minister and the Arab Petroleum Investment Corporation – and that is the explanation usually given. But maybe he just decided that for a man who wants power, elections are an unnecessary obstacle. 1. “Molten Metals Technologies Inc“. Lynn M. LoPucki’s Bankruptcy Research Database. http://lopucki.law.ucla.edu/companyinfo.asp?name=Molten+Metal+Technology%2C+Inc.. Retrieved 2008-01-05. 2. “Cordex Petroleum“. Internet Bankruptcy Library. http://bankrupt.com/TCR_Public/990406.MBX. Retrieved 2008-01-05. 3. “Maurice F. Strong Is First Non-U.S. Citizen To Receive Public Welfare Medal, Academy’s Highest Honour“. National Academy of Sciences. http://www8.nationalacademies.org/onpinews/newsitem.aspx?RecordID=12032003. Retrieved 2008-01-20. 7. http://www.unep.org Website of the United Nations Environment Programme.